Front elevation of the Type A. Front elevation of Type A with bezel cover removed. 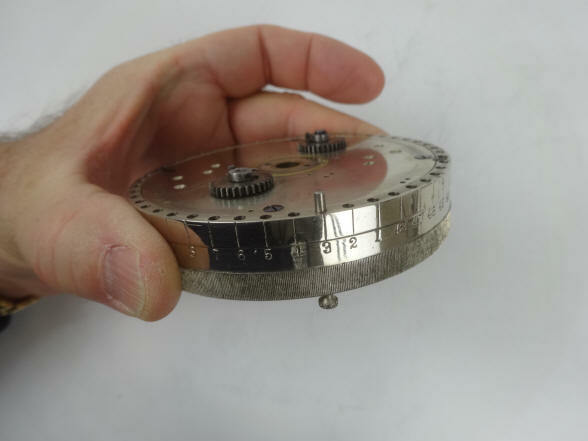 Look carefully at the holes drilled around the perimeter and note the imperfections, especially in the one at the 6 o'clock position, indicating a hand built model around the movement supplied by E. Howard. The Yale Type A prototype with screw down glass bezel attached. Made sometime between 1886 and 1888. 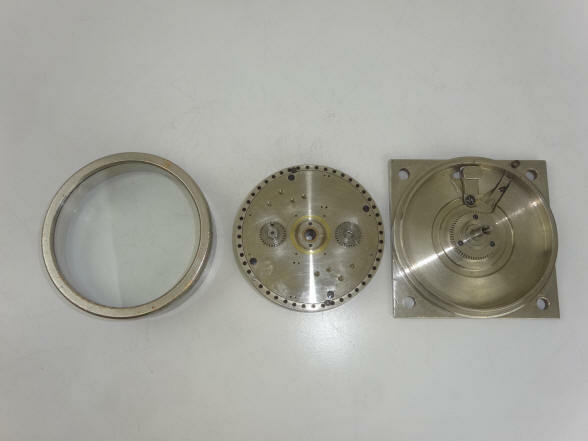 The main components of the Type A, glass screw-down bezel, movement base and case with dog release. It is difficult to discern from the design of the release if it was meant to operate on conventional bolt work or an automatic. 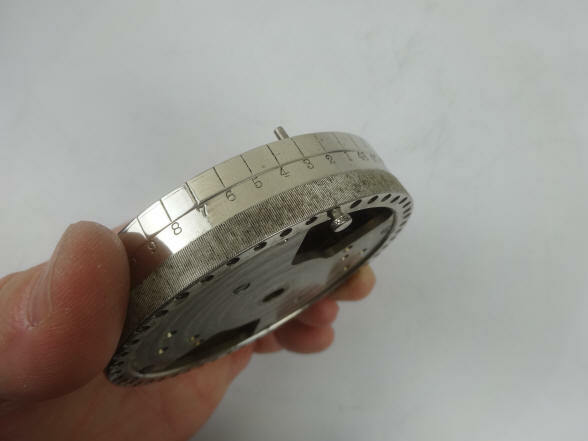 There is a center gear fixed to the case which meshes with the two side gears located on the rear of the movement plate allowing the two watch springs to be wound simultaneously when the movement base is rotated counterclockwise. These two photos show the release pin, here at hour three. The knurl knob unscrews and the pin can be removed and moved to any of the hour positions numbered from 1 to 48. The protruding pin below the rear plate engages the release lever. 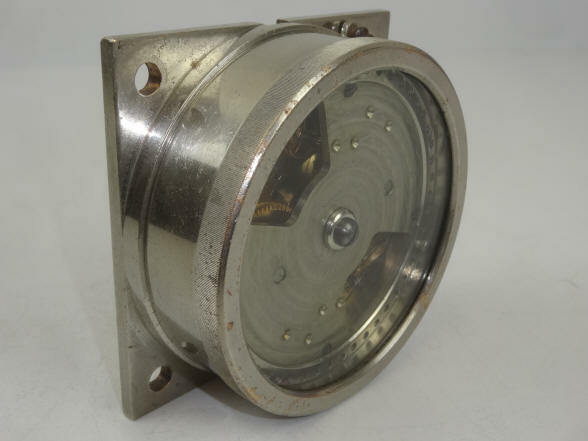 According to the patent, a second pin can be used in case of overwinding, so if the lock is overwound by 5 hours a second pin can be inserted five hours prior to the regular closing hour to make the lock open on time. This overwind correction via a pin is replicated in the later Type B and all Type C models. Here is a comparison of the Type A with a Chicago Time Lock, Co. Perfection Model 1, 1886. They are both identical in diameter. The Perfection Model 1 was the smallest time lock made at the time. 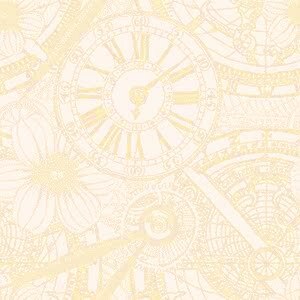 An examination of both time locks movements shows that they are identical 48 hour E. Howard movements. 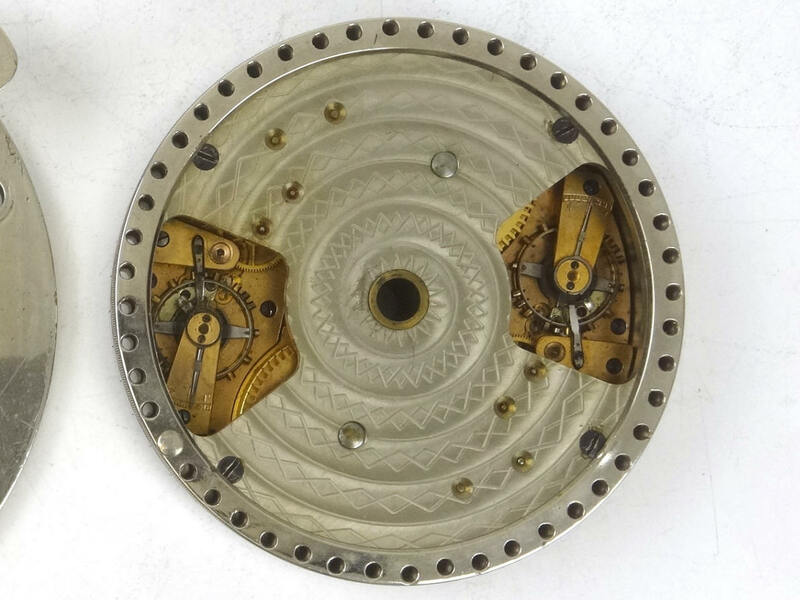 Even the style of the swirl damascene on the upper movement plate is similar. The only differences are the lack of the slot on the edge for a fence to drop into, a smaller center hole and a different opening configuration to view the balance wheels. According to the patent information describing the Perfection Model 1, in addition to that time lock being used as a stand-alone time lock for emergency vault doors and small money chests, the lock was also designed to be incorporated directly onto the wheel pack of a combination lock, and the slot cut into the lock's edge for the combination lock's fence as well as the hole in the middle corroborates this, first photo. 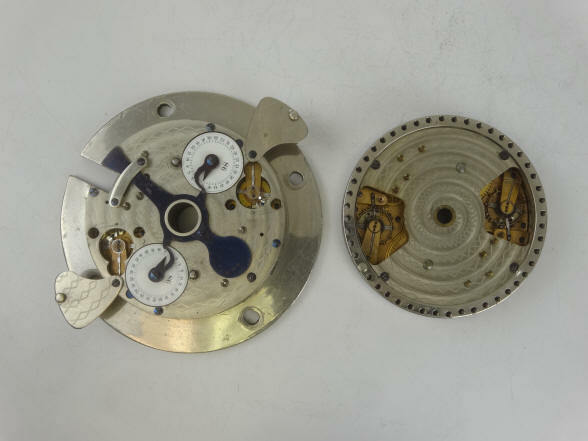 The fact that the Yale Type A is the identical size, and upon closer examination contains an identical E. Howard movement makes for an interesting speculation on whether this lock was originally ordered from Howard by the Yale company to explore their own design for a time lock mounted directly to a wheel pack. It would seem that if this were the case the research did not bear fruit just as this was never fully developed by the Chicago time Lock company. 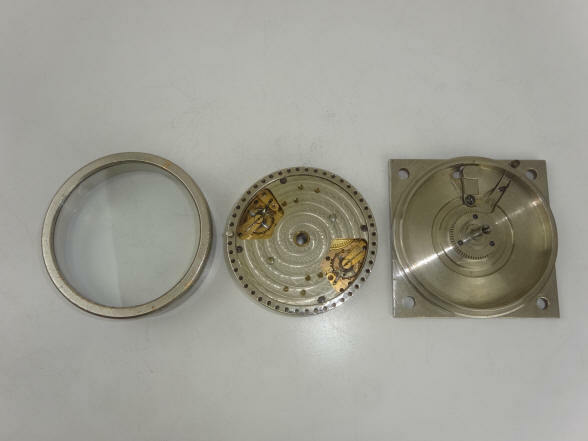 More likely the similarity between the two movements is a coincidence and the Yale company was supplied this movement by Howard after reviewing their specifications as a short cut to designing a completely new prototype for Yale's research into their line of time locks. 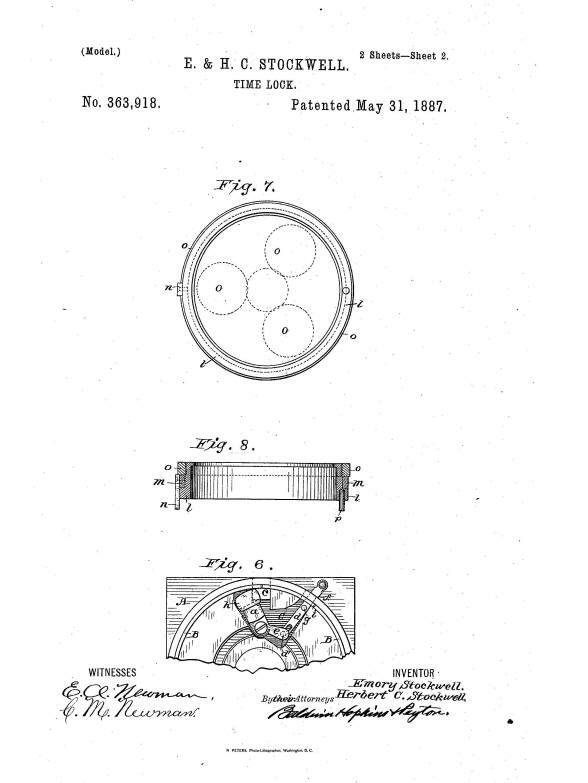 This is supported by the patent drawings submitted by Henry and Herbert Stockwell, #363,918, May 31, 1887, below. The first drawing shows the Type A exactly as found in the example shown on this page. Note on the upper left hand corner the word "Model", indicating that there was a patent model, the example here is that model. What is interesting is that Yale was contemplating a three movement version within this same configuration (sheet 2), which was adopted in the larger production models as shown in the patent designs in the section on the Type B. 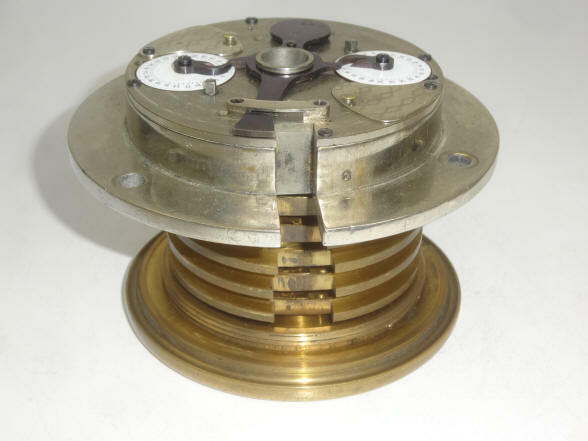 To have three movements within the 3 ½" diameter space of the patent model could have been done with a single plate movement and that is what the patent model was with a two movement design. But if the goal was to create a modular design using 'off the shelf' pocket watch movements, this would not have been possible at the time; standard pocket watch movements were too large. The maximum watch movement diameter would need to be less than 1 ¼" diameter; not impossible to make but certainly not in any watch company's current inventory. 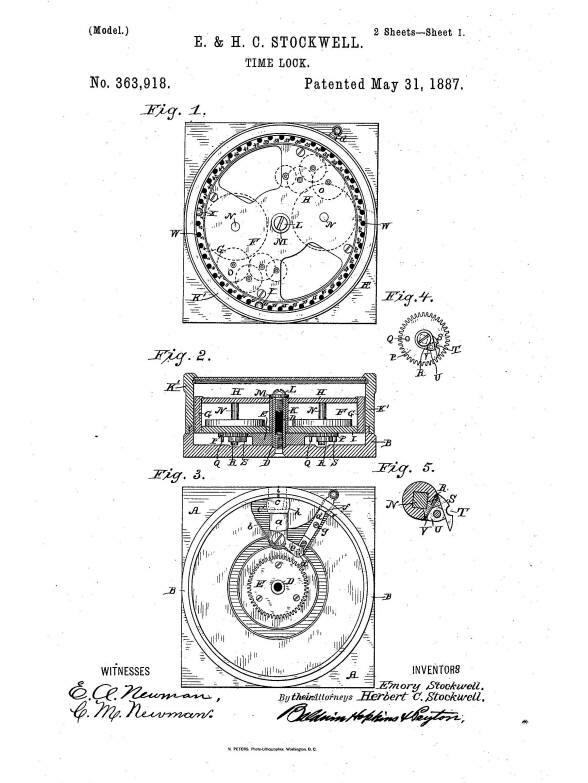 The Stockwell's had already fully fleshed out the design for using pocket watch movements in a modular fashion in two subsequent patents that were submitted on the very same day. Most likely those designs were not fully formed at the same time as the Type A, but were later patented simultaneously. 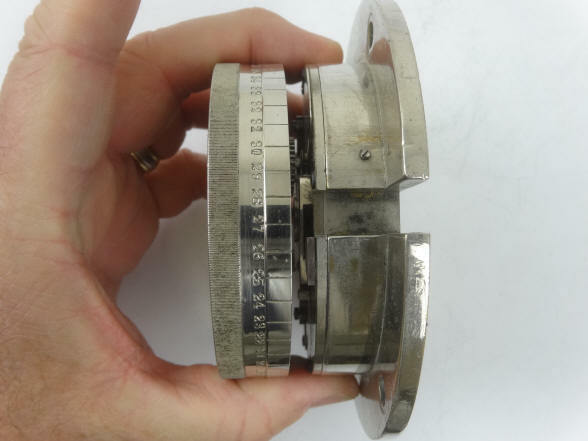 This confirms that the time lock shown here was indeed the Type A prototype of the production series Type B through E and likely had no connection with the movement used in the Chicago Time Lock Co. Perfection models other than that E. Howard supplied the movement. 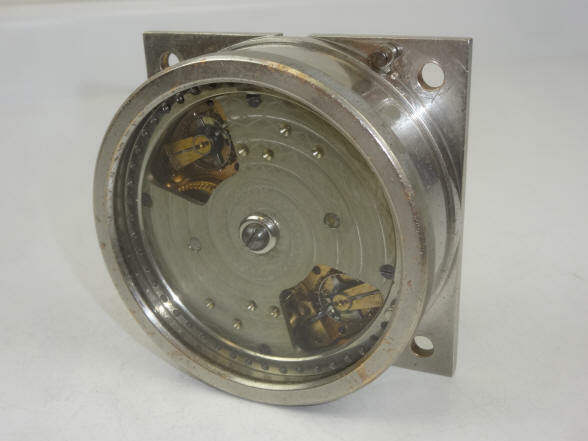 Yale had made prototypes for other time locks. 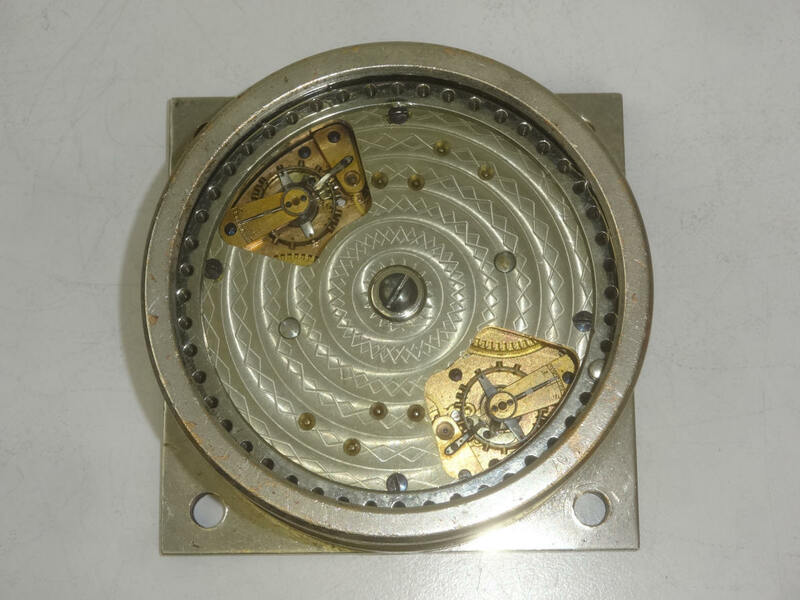 Their Model 2 and 4, also known as the Single Pin Dial had an earlier experimental prototype. 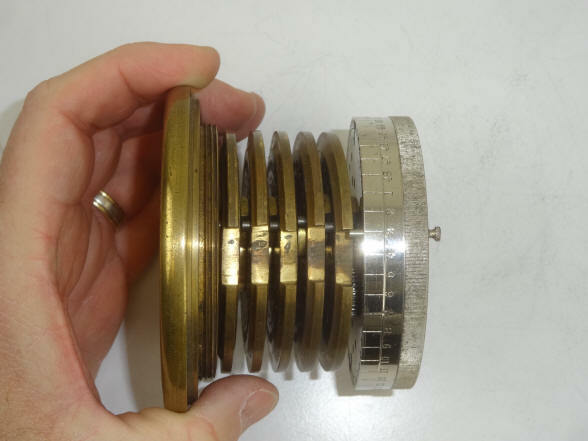 Here the Yale Type A prototype is examined and compared to a very similar time lock made earlier by the Chicago Time lock Co. The Type A was a test bed for the eventual production models of the Type B, C, D and E models. Yale Type A patent model, c. 1887. This was an experimental prototype for the later production models of the Type B, C, D and E. It is of a different design from those models but does contain the essential rotating movement base which was the basis for the Type B and C. This was later improved upon with the introduction of the D and E by fixing the table to the case and using a central arbor attached to a sun gear that drove the three planet watch movement winding gears. The front of the arbor allowed for the attachment of a dial pointer and insertion of a winding key greatly improving the design.